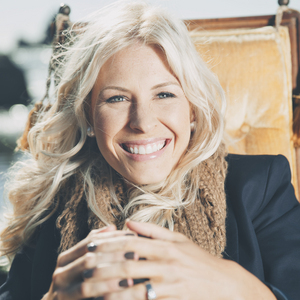 Jenn Johnson is a worship leader and songwriter with Bethel Music. She and her husband Brian serve as Senior Worship Pastors at Bethel Church and also oversee Bethel’s on-campus WorshipU summer program. Jenn began her journey with music and worship leading at a young age; she has cultivated an undeniable enthusiasm, wonder, and affection for God. Brian and Jenn’s debut album, Undone, released in 2001, and Jenn has since been featured on all Bethel Live albums as well as The Loft Sessions and Tides. Known for her powerful vocals and unique prophetic sound, Jenn’s lyrics flow straight from the heart. She has authored songs such as "O Taste and See", "God I Look to You," "Come to Me," & "Who You Are" written with her daughter Haley. Jenn is committed to raising up worshippers who will take hold of their true identity and pursue intimacy with God above all else. She is an outspoken advocate of living a lifestyle built on vulnerability, faithfulness, and connection to community. She and Brian reside in Redding, California with their three wonderful children.